Time to take it all off. It’s that time of the month again. Time to go to the salon and get the wig flipped. As is usual, as of late, I am contemplating what would happen if I dropped the pretense that fake hair affords me. What would happen if I stopped wearing wigs / weaves totally. I would like the option of doing a “trial” run with baldness. Spend a day in a bald cap and see how I feel going about my day. I can’t imagine I’d feel any different – I’d still struggle with whether or not I was going to be laughed at, avoided, or called “ugly”. Wigs/weaves don’t make me more or less “beautiful” by any stretch of the imagination to anyone looking at me. I just did a post on beauty a few days ago, so I know where my true beauty lies. But having some kind of hair on my head serves as a sort of security blanket. I feel they make me less of a target. I don’t want negative attention. Okay, I don’t want a lot of any kind of attention. I want to be the unassuming one in the corner who enjoys the occasional conversation with others as they mix and mingle their way through life. I spent time in the “limelight” and ended up abusing alcohol to cope. A bald-headed woman attracts attention. She gets looked at, assessed, judged, critiqued. But then again, so do women with hair. I’m judged regardless so why is the idea of not having hair making such a big difference to me? I used to look good in a fedora. I could rock a backwards Newsboy as well. Haven’t worn a hat since the 80’s though. I could go back to them, find a style that looks good, get a couple in some basic colors to wear daily. I could even buy some decorative head scarves. There are tons of YouTube videos that teach how to wrap them in intricate patterns. But still, underneath it all would be that bald head. Hmmmm. Let’s look at this a little more closely – Bald means no more money on wigs and trips to the salon. I love my stylist so I’d have to find another reason for stopping by the shop. Bald means no more fear of water – pools, oceans, sudden downpours – all were to be avoided at all costs lest the moisture damage the fake tresses. Bald, like my hysterectomy, in a lot of ways means freedom. It also means having something that will set me apart from the norm in my business. Wow. I could use the bald head in so many ways. Top of my list is to add some validity to my self-healing project (which of course comes with a book and business idea). Shaving my head, ditching the fake hair – strutting my stuff as I’ve come to exist, no shame, just being me. What better way to illustrate the power of the self-love I’m promoting? Good grief. Does this put me back on the dream-chaser’s express? There’s got to be a middle ground, oh wait. Another lesson to be learned? My head is spinning. But at least one decision has been made. I’m going “Telly Savalas” on y’all come August ;-). 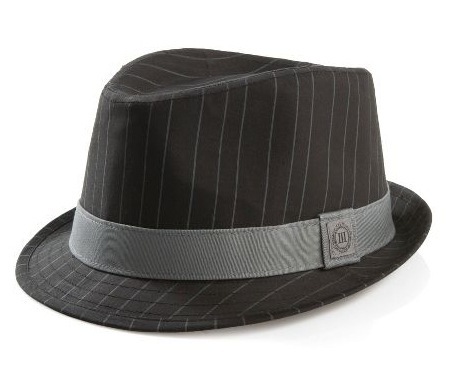 He used to wear a Fedora too. After a comical yet heartfelt discussion with my stylist this morning – where she flat out refused to shave my head in August – I have some clarity. I am a woman of extremes. When I feel something, I feel it to it’s depths or heights so as I’m working through my Satin Sheet Diva Experience (O.M.G. have to come up with a different name), I find the pendulum of my emotions doing it’s usual. I’m still going to do something extreme to my look, in conjunction with the business test wrap up and to press home my message of self-healing / self-love. I want you to see that I’m practicing what I preach. :-). It’s going to be well thought out, and not the “jump first, think later” craziness I am known for.